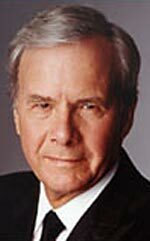 Tom Brokaw, the former NBC anchorman hosts "Global Warming: What You Need to Know," on the Discovery Channel. Like former Vice President Al Gore's "An Inconvenient Truth," and Laurie David's "Too Hot Not To Handle," it covers the same doomsday scenario. We see the melting ice, the polar bear and President Bush is bashed. All of the films use Princeton's Michael Oppenheimer and NASA's James Hansen. They must be on retainer. We're just cynical because they always use the same people and not AAEA. We have never seen a black person comment on the global warming issue. Of course, environmentalists and the environmental movement secretly take great pride in being elitist. It apears that they have a deal with the media to limit who speaks about this issue.